This beautiful home is perched on a hill overlooking the Jack Nicklaus Golf Course at Pasadera. 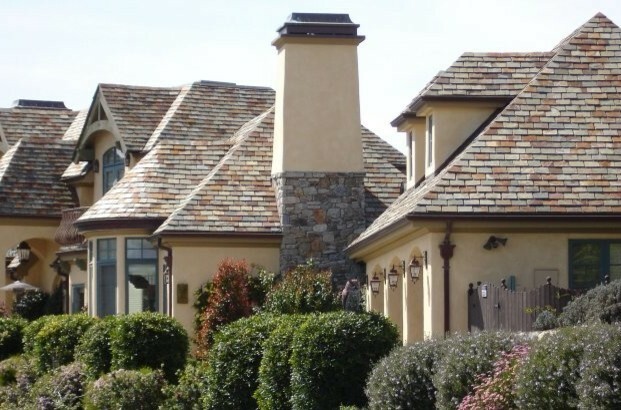 There were 132,000 pounds (66 tons) of China Multi Color Slate material installed on this very steep roof. We used approximately 24,200 pieces of slate on the project, and 48,400 nails to attach them. Notice that all of the hips, ridges and valleys are cut perfectly tight (mitered).